Miracle series CMM combines proven construction and controller technology, advanced measurement software and touch probe system to give you the simple, rapid, accurate and high-efficiency in quality inspection and process control. It is the best fit for manufacturers purchasing their first coordinate measuring machine, and for small or middle manufacturing operations needing CMM with maximum price-to-performance ratio. Miracle series CMM can be equipped with contact and non-contact probe system of Renishaw Company. It can also be equipped with LS series high accuracy laser scanning probe, LV series high accuracy CCD video probe to realize rapid scanning of complicated parts (doing Reverse Engineering), non-contact measuring of small size parts. 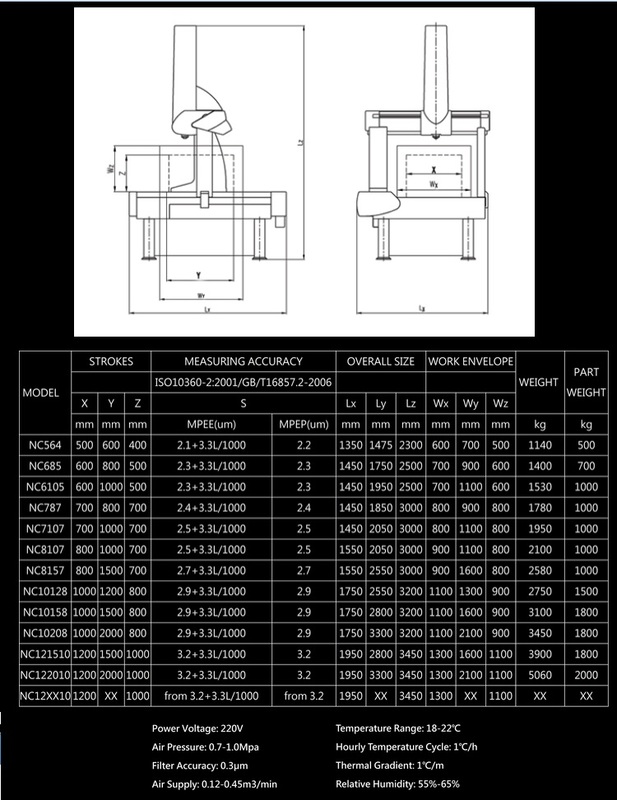 Each Miracle series CMM is checked and certified meeting the application test procedures required by ISO standards.